Do you remember when you fell in love? You were so excited. It was all sunshine, rainbows and dreams (or so they tell me). Have you ever considered the many parallels between long-term human relationships and your relationship with your local church? I remember when I first started attending my church—a warm place in a city where I knew nearly no one. They extended love and lunch invitations to me from day one. Soon they were my extended family. The Bible studies were insightful, the congregation caring. I was in love and our first months and years were so good—I knew this was God's chosen church for me. I have been attending my local church for more than four years now. But one day some months ago, something unexpected happen. I found myself at my computer, googling other churches in my area. I noted the name of one that sounded like it might be good. I stopped. When did this happen? When did my love affair with my church cool off to the point that I was entertaining thoughts of leaving it? Where was the love I felt a few years ago? My interest had jaded. At first that man's jokes were funny, but now they're just lame. I realized that one lady, well, she always does that annoying thing, and she doesn't stop. Sometimes they forget to thank me for something I've done! One unforgiven frustration compounds onto another and suddenly petty differences are a big deal. 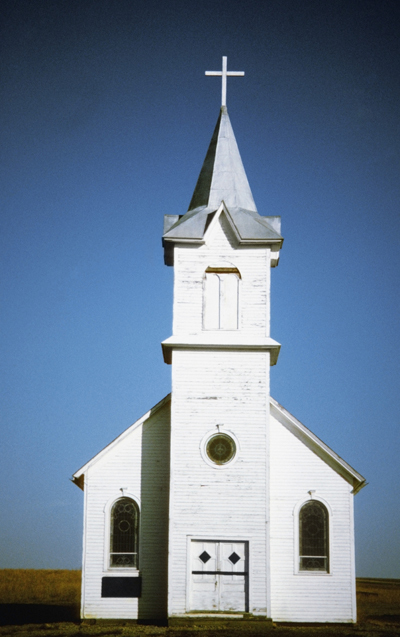 What keeps me in love with my specific, local church? It is the assurance that God has brought me to church. My church and I met over unique circumstances. I could not believe them to be coincidences. Until He gives me peace about doing otherwise, or moves me elsewhere, I continue to believe that He brought me to this community for His good reasons. Just like a marriage, I made sure the essentials were in place before I committed. My commitment is to the church "as is", not with designs on completely changing it. It has become trendy to say that you "love Jesus, but don't like the church." So, what keeps me in love with the Church universal? It is the knowledge that Christ loved the Church, and that to love Christ is to love His Bride. Elizabeth Elliot says, "Love is not a sentiment. It is a fiery law: 'Thou shalt love.'" Not loving the true Church is not an option. When I'm feeling discontent with my local body of believers, it often coincides with feeling disconnected from them, as well. I find that as I spend time with them, serve with them, grow with them, that the connection becomes stronger. When I am able to overlook my annoyances with others, and forgive, I watch our relationships put down deeper roots. Shoulder to shoulder, we build a history that we couldn't have if we switched churches every time the going got rough. Serving your church can seem thankless. But I have been encouraged sometimes as I've looked at old photo albums of people from church. I see that twenty years ago, they were showing hospitality to the church, and they still are. The man I know to have grey hair appears with brown hair and a thick moustache, and he's serving in a different capacity, but serving heartily. I hear the stories of the man who sacrificed half of his holiday time every year to serve at camp. As I learn their history, I know that I can't be the only one who's sometimes felt overwhelmed or under-appreciated, but their stories shine as examples of faithfulness to me. Christ laid down His life for the church, so should I. They are my flesh and blood. God hasn't brought me to my church simply to be served and happy. We all still carry sin natures, and that means that all of our interactions will not always be happy. It is through our interactions with Him and one another that He can mould each of us into His likeness. In his book Stop Dating the Church, Joshua Harris uses Spurgeon's analogy that a disconnected Christian is like a good-for-nothing brick. It can't do much alone, but as part of the building or temple that is the church, it contributes to a cause that can only be achieved through loving community. "Going away is easy. Do you want to know what's harder? Do you want to know what takes more courage...? Join a local church and lay down your selfish desires by considering others more important than yourself. Humble yourself and acknowledge that you need other Christians. Invite them into your life. Stop complaining about what's wrong with the church, and become a part of a solution." Thanks for posting Julie~needed in our culture today where virtual church and church hopping is so prevalent and a committed member is a hard find. It is easy for me to preach, but harder for me to live out, when there are disappointments or hurts!